Rosemery Nelson Gray began her studies in behavior therapy with a Fulbright Scholarship to study with Professor Hans Eysenck at the Institute of Psychiatry in London in 1966-67. She continued her studies in behavior therapy at the State University of New York at Stony Brook, from which she received her doctoral degree in Clinical Psychology in 1972. She completed dual internships in clinical psychology and in school psychology. Her dissertation, chaired by Alan O. Ross, examined behavioral processes in children’s early reading acquisition. Dr. Nelson-Gray joined the UNCG faculty as an Instructor in 1971, achieving the rank of Professor 1979. 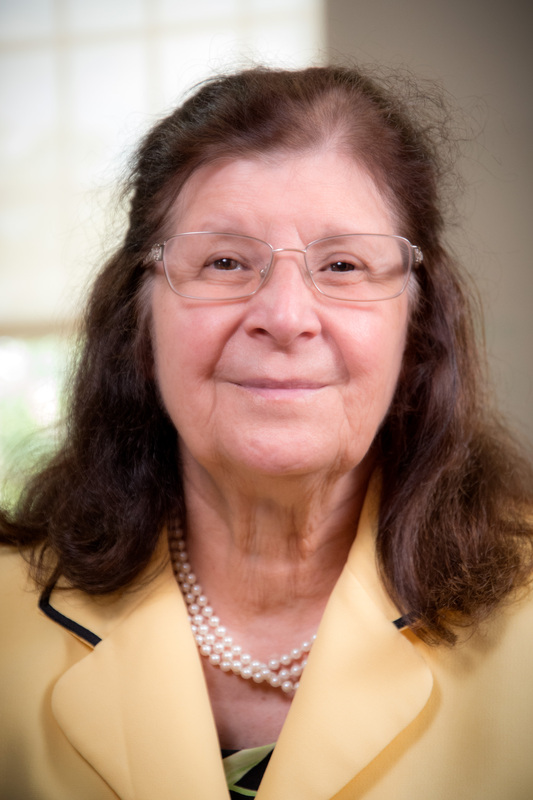 She served as Director of Clinical Training from 1977 through 2002. During that time, the doctoral program in clinical psychology received initial accreditation from the American Psychological Association, and then continual re-accreditation. During that time, about 125 students were awarded the doctoral degree in clinical psychology. The number of clinical faculty members grew from the initial three to a cohort of seven. In terms of graduate student training, Dr. Nelson-Gray has chaired 60 doctoral dissertations. One of her students won the UNCG Dissertation Award in 1994. Dr. Nelson-Gray is licensed as a Practicing Psychologist-Health-Services Provider in the State of North Carolina, and has provided clinical supervision in the UNCG Psychology Clinic for nearly 30 years. Dr. Nelson-Gray has been very active in professional organizations. In the American Psychological Association, she served as Chair of Section III, Division 12, 1979‑80 (Section for the Development of Clinical Psychology as an Experimen­tal Behavioral Science); Secretary‑Treasurer of Section III of Division 12, 1976‑78; President of Division 25, 1982‑83 (Division for the Experimental Analysis of Behavior); Vice President of Division 25, 1979‑82; Council Representative from Division 25, 1985‑87; and a member of Board of Scientific Affairs, 1986‑88. In the Association for Advancement of Behavior Therapy, she served as President, 1981‑82; and Secretary‑Treasurer, 1977‑80. In the Council of University Directors of Clinical Psychology, she served as Council Representative, 1981‑87; and Chair, 1983‑85. She was a regular site visitor for the Accreditation Committee of the American Psychological Association (1980-1991), and was a member of 20‑person Psychology Rating Committee for the Doctoral Evaluation Project of the State of New York (1985‑88). In terms of editorial activities, Dr. Nelson-Gray was the founding editor of Behavioral Assessment (1979‑1982), a journal published by Pergamon under the auspices of the Association for Advancement of Behavior Therapy. She was also Associate Editor of the Journal of Applied Behavior Analysis (1977‑79). She has served on the editorial boards of nine different journals. Dr. Nelson-Gray has co-authored four books. The most recent, Personality-guided behavior therapy (2005, with former student Richard Farmer), was selected by the American Psychological Association as a continuing education option. The theme of Dr. Nelson-Gray’s research is personality underpinnings of adult psychopathology. Dr. Nelson-Gray’s peer-reviewed publications include more than 125 articles and 25 book chapters. She has presented her research findings at more than 65 regional, national, and international conferences. She has presented her research by invitation in Mexico, Peru, France, Singapore, Hong Kong, Venezuela, Colombia, Cuba, and Australia. She has collaborated with Dr. Susan Keane to develop and test the efficacy of a new clinical treatment program for middle-school youth with oppositional-defiant behavior. They were awarded a grant in 2001 to 2003 from the Wesley-Long Community Health Initiative Foundation to pursue this line of research. Their findings reached the international community by being published in Behaviour Research and Therapy in 2006. She is also collaborating with Dr. Susan Keane doing outcome research at Dream Camp, a day camp for children with Aspergers disorder. She is also collaborating with Dr. Julie Mendez in providing scientist-practitioner services to refugee children from many different countries at the Newcomers School. Dr. Nelson-Gray was awarded the UNCG Research Excellence award in 1990.